Hosted by EY in Melbourne, join this discussion on technical and operational implications of AASB 17 implementation. Light lunch provided. This session will be led by Hayley Watson, Partner, Financial Services at EY. Places are limited so book early to avoid disappointment. Where should you start your implementation journey? How significant is the change we are facing into as an industry? What are the key business and operational implications of IFRS 17? Can your IFRS 17 implementation program be a strategic opportunity? I hope you will be able to join us for what will be an insightful event. Click Speakers link below to read more information about the presenters for this session. 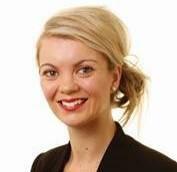 Hayley Watson is a Partner in the Financial Accounting and Advisory Services team at EY, Melbourne, Australia. Hayley has over 15 years technical accounting and audit experience including 12 years financial services experience. Hayley provides input and assistance to clients directly on the interpretation and application of challenging financial reporting problems including new accounting standards such as IFRS 17 and IFRS 9. She also provides insights into accounting for major transactions, emerging financial accounting and reporting issues. Janine Donelly - is a partner who specialises in performance improvement consulting, focusing on finance transformation, performance management, shared services and business process redesign. She has played a key role in a number of global, complex transformation projects from diagnostic / scoping phase through to implementation and ongoing continuous improvement.